The global canned seafood market has been growing at a robust pace in the last few years. A tremendous rise in the population across the globe and the rising popularity for seafood are predicted to encourage the overall growth of the global canned seafood market in the next few years. In addition, the rising awareness among consumers regarding the advantages of consuming seafood is one of the major factors anticipated to accelerate the growth of the market in the near future. The rising preference of consumers for ready-to-eat food, owing to the rising number of working women and hectic lifestyle are projected to fuel the development of the global canned seafood market. Moreover, the improvement of the distribution channels and network are likely to boost the demand for diverse canned seafood products in the coming years. Furthermore, a significant rise in the trade of seafood and the growing demand for processed seafood products are some of the other important factors that are expected to encourage the growth of the market in the next few years. On the other hand, several concerns related to illegal overfishing and the adverse climatic conditions are projected to hamper the growth of the global canned seafood market. In addition, the stringent rule and regulations imposed by governments are estimated to curtail the market’s growth in the near future. However, the rising prospects in the e-commerce sector and the growing focus on research and development activities to increase the shelf life of the products are expected to augment global canned seafood market in the coming years. A substantial rise in the number of players is likely to enhance the growth of the market in the near future. Benefits of seafood, such as high protein levels, low cholesterol, and low fat are quickly spreading across the urban population across the world, wherein restless lifestyle is leading to several health disorders including heart diseases, obesity, stroke, and hypertension. With increased disposable income, urban populations in developed and emerging economies are willing to bear the cost of chosen food, and canned seafood are gaining popularity for their apparent benefits and ease to cook even for inexperienced chefs. Canning of the seafood aides in preserving its nutritious values while it is being shipped to the target consumers. Consequently, the demand in the global canned seafood market is projected to expand at a healthy CAGR during the forecast period of 2017 to 2025. This report on the global canned seafood market is meant for raw material suppliers and harvesters of seafood, suppliers of fish and seafood such as fisheries, research and development institutes, and pre-processors. The report aspires to summarize the essential dynamics of the canned seafood market to the buyers, and help them make more informed business decisions. It also contains a dedicated section on company profiles, analyzing several prominent players of the market for their shares, regional presence, and recent strategic decisions. By distribution channel, the global canned seafood market can be segmented into restaurants, retailers, wholesalers, and independent traders. Geographically, the report analyzes the opportunities available in regions such as Asia Pacific, North America, Latin America, the Middle East and Africa, and Europe. Increasing consumer preference for ready-to-eat meals and increased shelf-life of these products due to technologically advanced packaging are among the most primary factors positively influencing the market, besides the growing awareness of the benefits of seafood. The declining prices of exclusive seafood, which is a result of more efficient modes of fishing and transportation, is another important factor that is expected to positively reflect on the market for canned seafood. Moreover, rising fitness culture is increasing the uptake of seafood as they help in muscle building. 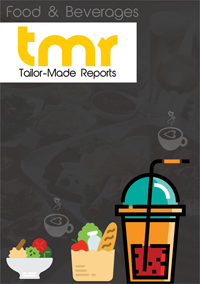 Furthermore, the report also observes a trend that casual dining in restaurants is declining as consumers now prefer to save travel time and eat in the comfort of their homes. This trend will significantly favor the global canned seafood market. Conversely, government regulations to maintain the quality standards of the canned food is expected to hinder the growth rate to a certain extend during the forecast period. By distribution channel, the segment of retailers and independent dealers is expected to rise at the most robust rate, owing to the ease of availability of these products in food marts and supermarkets. Geographically, North America and Europe account for most of the demand for canned seafood, which is due to busy lifestyle, high awareness levels of the benefits of seafood, and improved shelf-life of these products. The U.S., the U.K, Spain, and France are some of the key country-wide markets for canned seafood in these two regions. On the other hand, the Asia Pacific canned seafood market is also expected to expand quickly during the forecast period, especially driven by emerging economies such as China, Japan, and India. High Liner Foods, Tri Marine International, Oceana group, Mazetta Company, Gomes da Costa, CamilAilmentos, and Mark Foods Inc. are some of the prominent companies currently operational in global canned seafood market, which is highly competitive in nature with the presence of several domestic players. Another challenge for the vendors is to assure the nutritious values of the packaged products.